We’re very excited to kick off the third season of Open Field Drawing Club on Thursday, June 7. 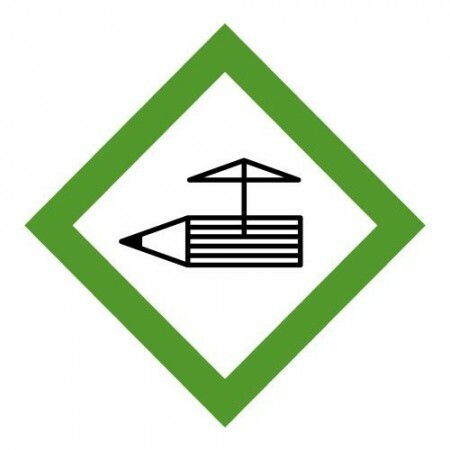 For those of you who don’t know, Drawing Club is a social art-making activity hosted by mnartists.org on Walker Open Field every Thursday in the summer from 4 – 8 pm. It’s a collaborative activity where all are welcome to start, contribute to, or finish a drawing. Local artists, the general pubic, kids and adults are all invited and all materials are provided. The only rule of Drawing Club: what happens at Drawing Club, stays at Drawing Club. Our first special host artists are Farida Hughes and David Rathman. They’d like to offer some directives and suggestions for starting things off this summer by bringing an assortment of things that can be inked, dropped, rubbed, stamped, drawn around, and pressed. Beginning with an interest in mark-making methods and pre-mixed tones and values of ink, these artists are excited to see where the drawings may emerge and evolve from there with continued collaboration. 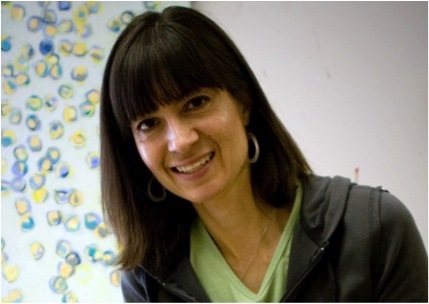 Farida Hughes is an abstract painter with a studio in the California Building, NE Minneapolis. Her work in oil paint and watercolor on paper is shown regularly at galleries and art centers in Minnesota and nationwide. Her pieces are included in many private and corporate collections nationally, including Target, Chesapeake Capital and the Marriot and Hilton hotels. Ms. Hughes is currently working on paintings and a collaborative floor piece for an exhibition to open in June 29, 2012 at the Bloomington Theatre and Art Center in Bloomington, MN. She is represented locally by the Nina Bliese Gallery, Minneapolis. David Rathman is a watercolorist living in Minneapolis. 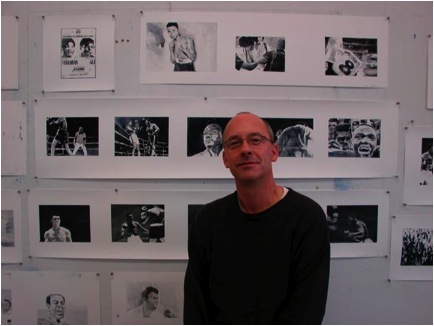 He received his BFA from MCAD and his work is featured in fifteen public collections, including the Whitney Museum of American Art, J. Paul Getty Museum, and the Art Institute of Chicago. Rathman’s sparsely rendered watercolors appraise the introspective convictions associated with identity, as well as the popular icons and coping mechanisms towards which we inherently gravitate. Rathman is represented by Larissa Goldston Gallery in New York.